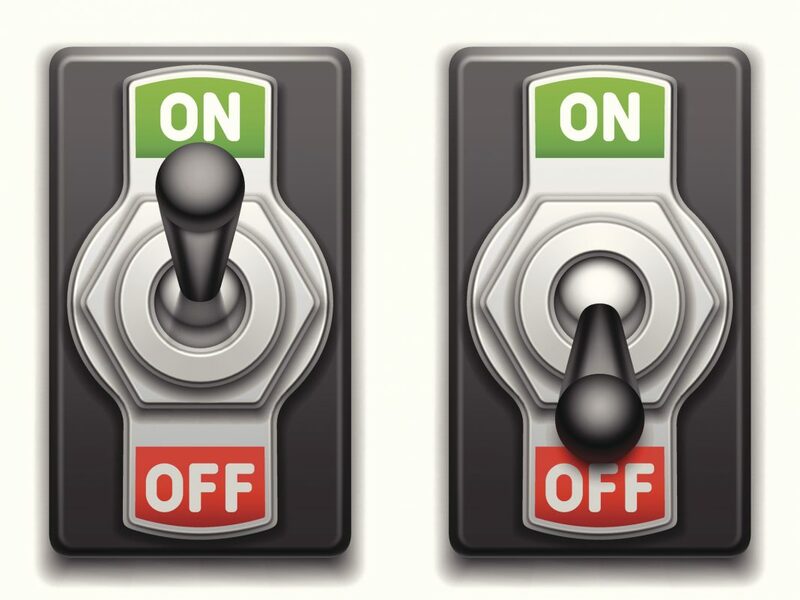 Collection of On and Off switches. Cancer cells are excellent at adapting and altering themselves in order to survive. This strategy often requites tumors to silence dozens of genes that would otherwise flag a malfunctioning cell for destruction. Now, a team of investigators led by scientists at the Johns Hopkins Kimmel Cancer Center has recently published new findings describing how they blocked the activity of portions of a protein known as UHRF1 and restored the function of hundreds of cancer-fighting genes that became “misregulated” by the disease. 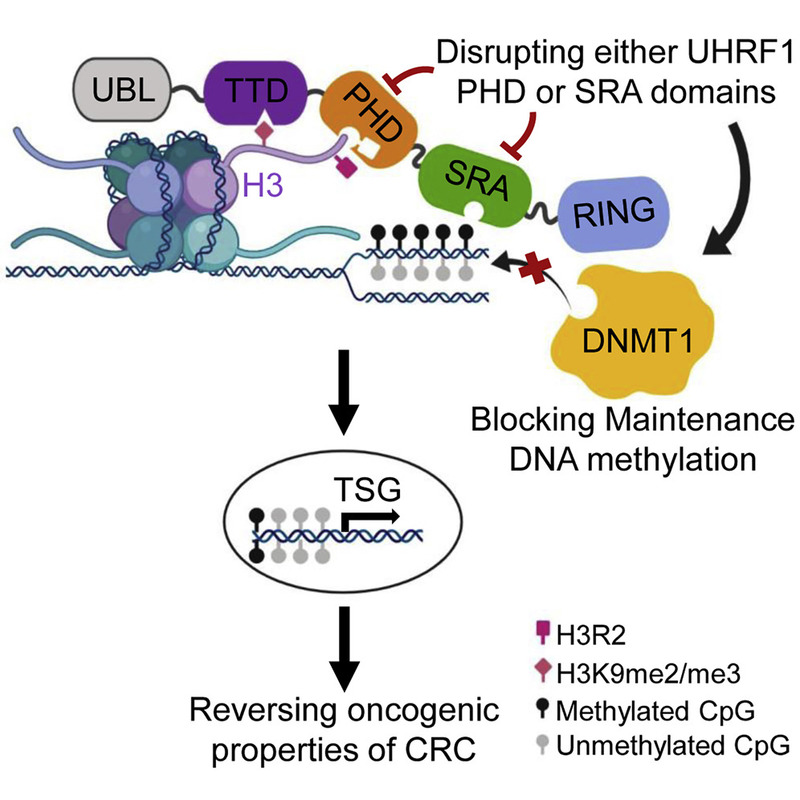 Findings from the new study—published recently in Cancer Cell through an article titled “Defining UHRF1 Domains that Support Maintenance of Human Colon Cancer DNA Methylation and Oncogenic Properties”—could lead to an entirely new strategy to fight a broad range of cancers. Researchers have long known that gene mutations can cause cancers. However, it recently became clear that faulty gene regulation can also prompt and maintain cancers. This second occurs epigenetically, in which chemical tags settle onto genes to turn them on or off. Methyl groups typically silence the function of genes once they are clipped on by cells. Cancers harness this type of epigenetic regulation, using it to broadly turn off genes that cells normally use to fight the onset or growth of cancer. In previous studies, researchers have attempted to adopt this strategy to the treatment of cancer by developing drugs that knock off methyl groups to turn cancer-fighting genes back on. However, the research team said, it’s been a challenge to develop drugs that robustly penetrate solid tumors and effectively remove methyl groups simultaneously. Consequently, drugs such as 5-azacytidine and entinostat haven’t yet been as effective as researchers had hoped, particularly in solid tumors. In the process of looking for a new way to influence cancer epigenetics, the investigators turned their attention to UHRF1. Although this protein was known to be responsible for adding and maintaining methyl groups, researchers say it has never been fully explored as a way to block methylation and make it a potential drug target. Interestingly, when the researchers blocked these domains by inserting mutations in key regions, tests of how abnormal DNA methylation and gene expression were affected showed that hundreds of cancer-associated genes became demethylated, returning to normal levels of protective activity. As a result, cells with blocked PHD and SRA were significantly impaired in their ability to divide and migrate, processes that are hallmarks of cancer. Clinical records of the patients showed that the more UHRF1 is present at increased levels, the worse patients’ outcomes were overall. That is, in over 150 patients whose tumors had high UHRF1—levels four to 10 times above levels in normal tissue—recurrence of tumors after surgery occurred 20 months earlier and led to an average of two years shorter overall survival compared with those with lower levels of this protein. The findings suggest that repressing those two key domains could offer a new way of controlling cancers. Currently, the researchers are working with a company to develop a drug to accomplish this goal, either alone or in combination with existing drugs. Because methylation patterns go awry nearly universally in cancer such a drug could help fight a wide range of cancer types.